A serious issue that needs to be settled between Ugyen Dorje and Thaye Dorje is about who will inherit Rumtek Monastery as the Karmapa. Tibetan Buddhist leader Karmapa Ugyen Trinley Dorje could well inherit the political legacy of the Dalai Lama, even though he belongs to a different Tibetan Buddhist sect. At 83, the Dalai Lama keeps indifferent health and there is trepidation amongst most Tibetans about a future without him. This potential lends special significance to a meeting held on October 10 on border of France and Switzerland. The two rival claimants to the title of the 17th Karmapa, head of the Karma Kagyu sect of Tibetan Buddhism — Ugyen Trinley Dorje and Trinley Thaye Dorje — met to get to know each other. Although some in the intelligence community in India have dubbed him a “Chinese agent”, Karmapa Ugyen Trinley Dorje could emerge as the tallest Tibetan figure after the Dalai Lama after the reconciliation attempt in France. The Karma Kagyu is one of the four major sects of Tibetan Buddhism, the other three being the Gelug (the Dalai Lama’s lineage), the Nyingma and the Sakya. On political matters, though, most Tibetans defer to the Dalai Lama because of his personality. To understand the significance of the reconciliation effort, it is important to understand the background to the development. Ugyen Dorje, who is recognised by the Dalai Lama as well as China as the 17th Karmapa, is the inheritor of the Black Hat seat at the Rumtek Monastery in Sikkim. 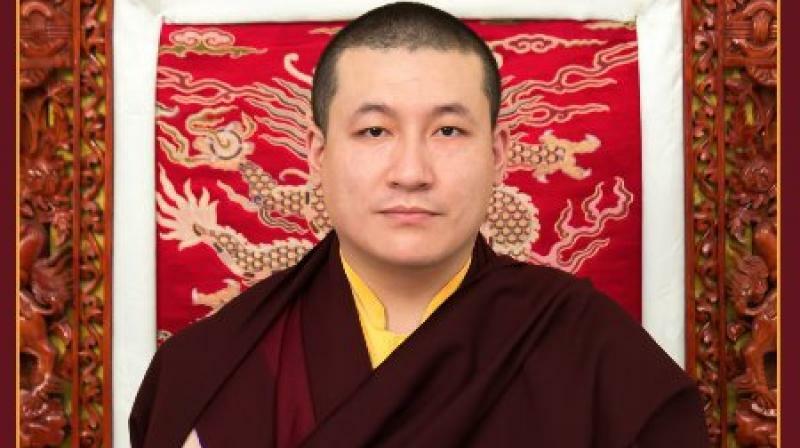 Thaye Dorje, the rival claimant, was discovered as the Karmapa reincarnation by Shamar Rinpoche, the second-highest lineage holder monk of the Kagyu sect. Ugyen Dorje had met Shamar Rinpoche in 2008 against the wishes of his senior advisers — Tai Situ Rinpoche and Gyaltsab Rinpoche, who had identified him as the Karmapa reincarnation. This meeting did not lead to anything. In March 2018, after the Tibetan New Year, or Losar, Ugyen Dorje recorded an impromptu lecture to his followers talking of the need to bridge divisions within the Karmapa lineage. It was the Thaye Dorje faction, however, which made the first overture to Ugyen Dorje. Thaye Dorje had got married in March 2017. This diluted his claim as the 17th Karmapa as monks of the Kagyu sect take a vow of celibacy. The late Shamar Rinpoche’s brother, Jigme Rinpoche, general secretary to Thaye Dorje, met Ugyen Dorje about a month ago, in New York, setting the stage for the meeting in France. The meeting has brought several issues to the fore, which will have to be settled before any reconciliation. Those who enthroned Ugyen Dorje have spent a lifetime portraying Thaye Dorje as the pretender. And now the man they supported as the Karmapa has legitimised his rival. Karmapa Ugyen Dorje would, therefore, have to bring his senior monks on board. The Dali Lama’s reaction to the reconciliation attempt matters, and whether he decides to help with the reconciliation process or not will be important. He was not taken into confidence before the meeting and he does not recognise Thaye Dorje as a Kagyu Tibetan Buddhist leader till now. The Dalai Lama could recognise both Ugyen Dorje and Thaye Dorje as reincarnations of the 16th Karmapa by designating one as the “head” reincarnation and the other as the “heart” reincarnation. Tibetan Buddhism allows one lama to reincarnate in two persons. However, if he resolves the Karmapa issue in this way, he would be under pressure to do the same for the Panchen Lama — there is one recognised by him and another by China. Thaye Dorje has never paid court to the Dalai Lama. He has also been supported as the real Karmapa by the Shugden sect within the Gelug School, which is opposed to the Dalai Lama. Moreover, Thaye Dorje has never made a common cause with the Tibetan political struggle. Ugyen Dorje, on the other hand, has always taken a firm position in favour of the Tibetan struggle. Who leads the Tibetan political struggle after the Dalai Lama is as important for the Tibetans as it is for India. It has direct consequences for Sino-Indian and Indo-Tibetan relations. The alternatives are a child incarnate of the Dalai Lama himself or one of the two Panchen Lamas. A child successor of the Dalai Lama would not be able to exercise political authority and would be under the care of a regent or a regency council. The Panchen Lama recognised by the Dalai Lama is probably under Chinese arrest and Beijing’s official Panchen Lama may not be acceptable to a majority of Tibetans. In all likelihood, therefore, if the position of Karmapa Ugyen Dorje is strengthened, he will emerge as the potential candidate to stabilise Tibet. Though he may not like to assume a political role, he may not be able to avoid it. This puts pressure on India to engage him better than it has in the 17 years he had been here. Ugyen Dorje’s movements in India and abroad are restricted by the government. He has not been able to buy land in India to set up a permanent place to stay in exile. He is forced to stay in two rooms allotted to him in a monastery of the Dalai Lama sect in Dharamsala. Fed up with these restrictions, he has refused to return after he left India last year for the United States, ostensibly for three months. He has repeatedly said he wants to come back to India, his first country of refuge by choice. As of now, however, the Indian government appears to be unsure if it should back the possible future leader of the Tibetan movement.